From L.A. comes the latest EP from award-winning, singer/songwriter Cindy Alexander entitled "An American Girl." It will be released on October 9th through Blue Elan Records, with a tour to soon follow. Cindy has won numerous independent songwriting awards, but her most recent is for L.A. Music Critics' Comeback Artist of the Year after overcoming her battle with breast cancer. Cindy has also worked alongside such great artists as Sarah McLachlan, Aimee Mann and Norah Jones. Her new eight-song release features four original songs, a cover of Tom Petty's "American Girl" and three acoustic versions of her originals. Beginning with "Play," she invites you to have a good time, while her vocals in "Monarch" instantly wrap you up with her warm country/folk delivery. Her music soars during "Burdens And Bones," before showing us a different side to the Tom Petty lyrics of "American Girl." 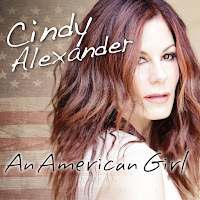 The album closes with the more intimate acoustic delivery of her songs "Play," "Monarch" and "See You In L.A." To find out more about Cindy Alexander and her latest release "An American Girl," please visit cindyalexander.com. 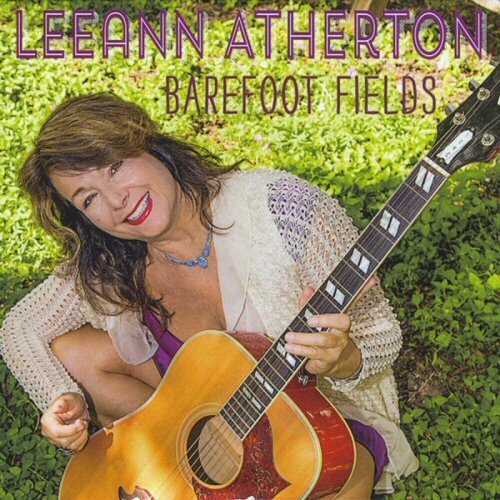 Texas singer/songwriter Leeann Atherton will be releasing her new album "Barefoot Fields" in late October. It features a dozen countrified folk numbers that showcases Leeann's wonderful songwriting and emotional rendition of a few cover songs. Beginning with the acoustic country swing of "Add It Up" and the Melissa Etheridge feel of "Mustard Seed," Leeann has no problem getting the listener involved in her music. She adds a touch of folk storytelling in "Robby & Mona," then takes on Donovan's 1965 classic "Catch The Wind" with gentle grace. The quicker pace of "Love's Creation" is a breath of excitement as you wish there was more bursts of energy on this album. Leeann adds a warm comfort to the words of Tom Waits with her delivery of "On The Nickel," before closing with the lullaby poetry of "Where The Wildflowers Bloom." To find out more about Leeann Atherton and her new album "Barefoot Fields," please visit leeannatherton.com. 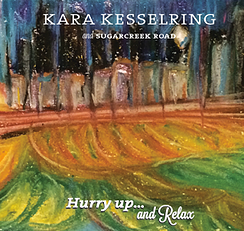 From Chicago comes the debut album from singer/songwriter Kara Kesselring and her band Sugarcreek Road. It's titled "Hurry Up And Relax," which is exactly what Kara planning for you to do as you listen to her wonderfully classic sounding music. The new twelve-song release begins with the uptempo country stomp of "Speeding For Jesus," then moves along to the bluesy waltz of "Belle Of The Ball." Kara's voice shines on "Blue Hat" and the dixieland jazz appeal of "Crush" begins to give the listener that "relaxed" feeling of the album title. The gentle acoustic folk/pop of "I'd Do It For You" makes you feel good, while "Rise Up" is an uplifting soul/gospel number. Kara and her band add some more blues to the slow-swing of "Trouble," before closing the album with a gentle "Iris Lullaby." To find out more about Kara Kesselring and Sugarcreek Road and their new album "Hurry Up And Relax," please visit sugarcreekroad.com.